The laboratory bench NTC-14.57 “Thermodynamics. 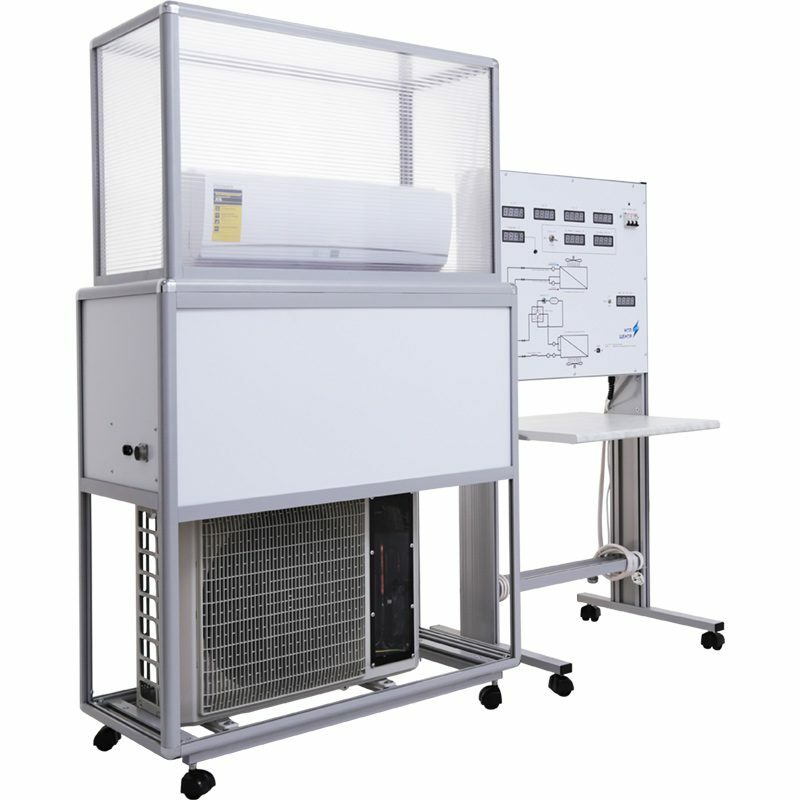 Inverse thermodynamic cycles (devices)” is designed to be used as a teaching facility for practical laboratory tests in universities and specialized schools. 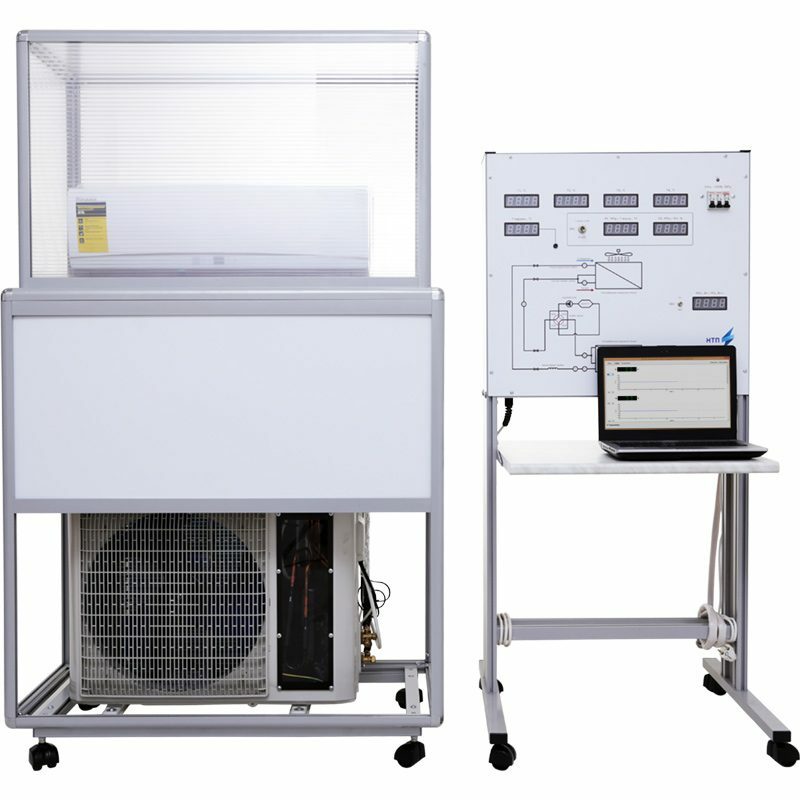 The construction of the bench consists of a control and measuring unit and a test board. The case of the control unit consists of: part of the electrical equipment, printed circuit boards, front panel, desktop tabletop. 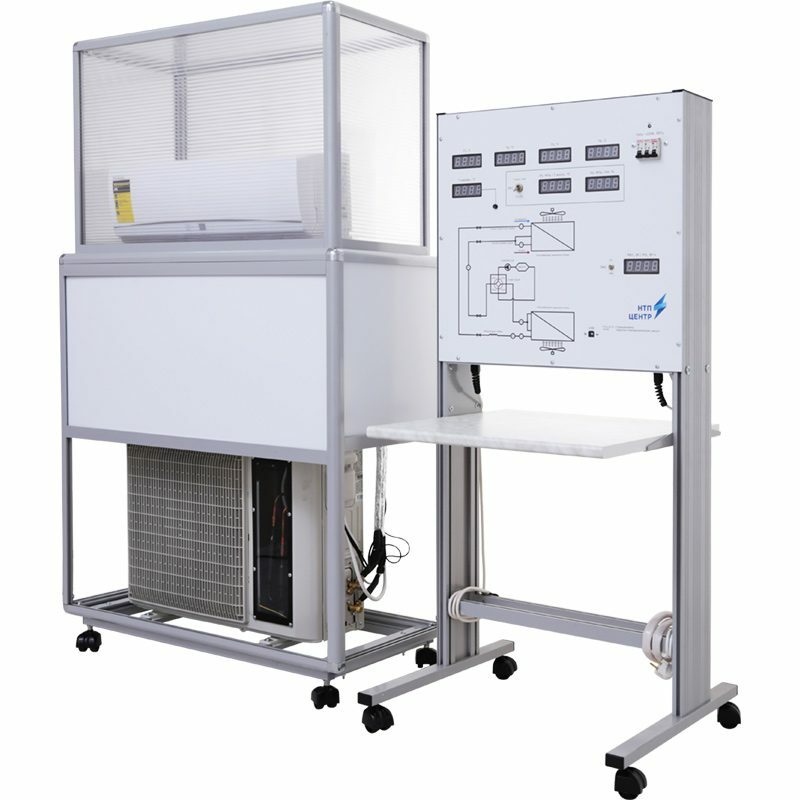 The test board equipment (internal and external split-system’s blocks) is available for visual training and maintenance. The internal block is covered by special case. 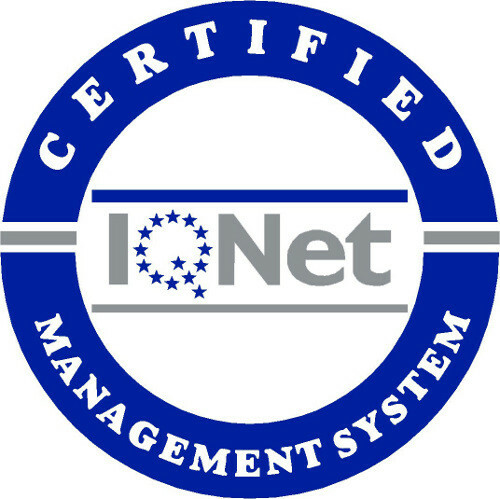 The laboratory bench set includes the following software and methodological support documentation: software for electric power meters and digital devices, a set of methodological and technical documentation for teaching staff. The study of the operating cycle of a refrigerator. Heat exchange during condensation and boiling. The study of air conditioner.